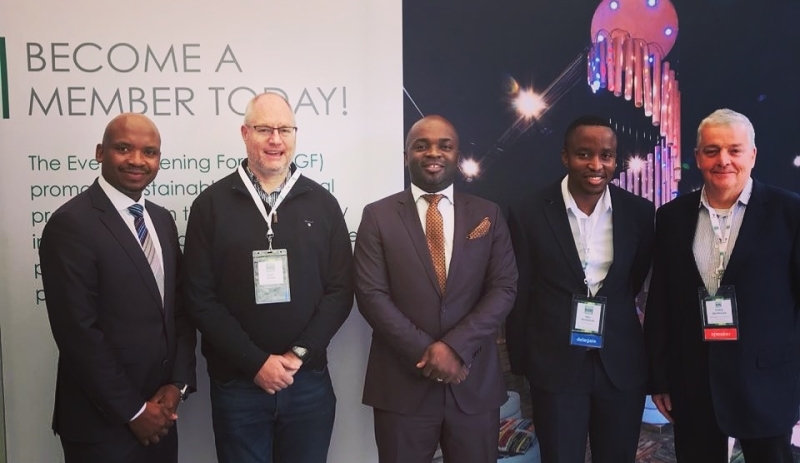 Councillor Solly Msimanga, the Executive Mayor of Tshwane, officially opened the Event Greening Forum’s (EGF) sixth annual conference on 14 June at the forum | white light. The EGF is a non-profit organisation promoting sustainable MICE events (Meetings, Incentives, Conferences and Exhibitions), so Cllr Msimanga’s address outlining his plans to help position the City of Tshwane as a leading responsible event destination was warmly received. Cllr Msimanga explained that the City had already taken a significant step towards this goal. This was its inclusion on the Global Destination Sustainability Index (GDS-Index), facilitated by the EGF. The GDS-Index measures and compares the social and environmental sustainability strategies, policies and performance of the participating event destination cities. This makes it clear what aspects of a destination are responsibly managed, as well as where there is scope to improve, and how. A plan is now in place to improve the City of Tshwane’s GDS-Index ranking. One aspect of this is the City’s Sustainable Procurement Strategy. Cllr Msimanga said that the City has a purchasing power in excess of R8 billion a year, and they have set a target of 10% eco-certified procurement on operational expenditure by 2021. “Sustainable procurement is one of the most formidable tools at our disposal – whatever we purchase reinforces our own values and objectives and sends out a powerful signal to the market about what goods and services we require in order for us to deliver on our mandate in a responsible and sustainable manner,” he said. The GDS-Index shows that only 5% of Tshwane’s total hotel room inventory has active third-party sustainability certification, while 0% of the Professional Conference Organisers (PCOs) and Destination Management Companies (DMCs) in the City have eco-certification or a formal written sustainability policy. Thus there is huge scope for the events industry to improve in this regard, and offer the City the green solutions it requires. Greg McManus, the EGF Chairperson, says, “We are heartened by Cllr Msimanga’s message. Encouragingly, our plans for the EGF are aligned with his vision for the City of Tshwane, so we foresee that we will be able to support each other towards this shared goal for a more sustainable events industry. McManus adds that the EGF has long recognised the need for greater third-party certification within the events industry, to ensure a transparent and high standard of event greening is established. He says, “At this stage, we encourage event organisers to either get their events certified through existing event certification labels, or to improve the sustainability of their events by adopting the Minimum Standards for Sustainable Events introduced by the EGF.” The standards are available for free from the EGF website, www.eventgreening.co.za, under the resources tab. Cllr Msimanga’s address was not only about future goals. He also spoke about the event greening implemented at the recent African Capital Cities Sustainability Forum, and which is planned for the World Choir Games from 4 – 14 July, as well as the ongoing development of Menlyn Maine, Africa’s first green city. All of these efforts will help to create “an enabling environment for a sustainable MICE industry”, with a view to ensuring the City of Tshwane is an international destination of choice for its sustainable MICE event capabilities.